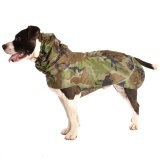 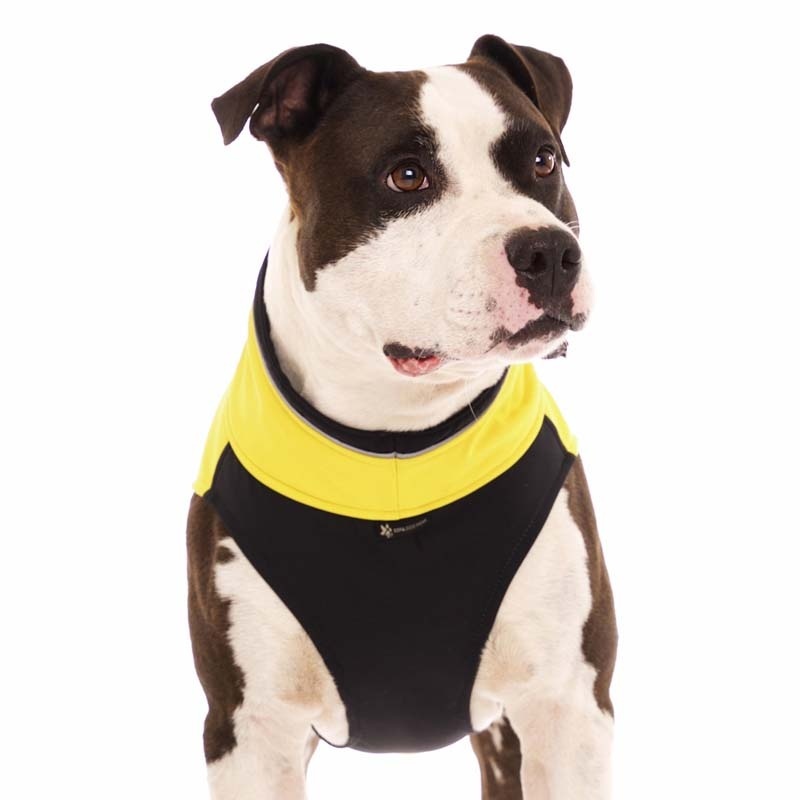 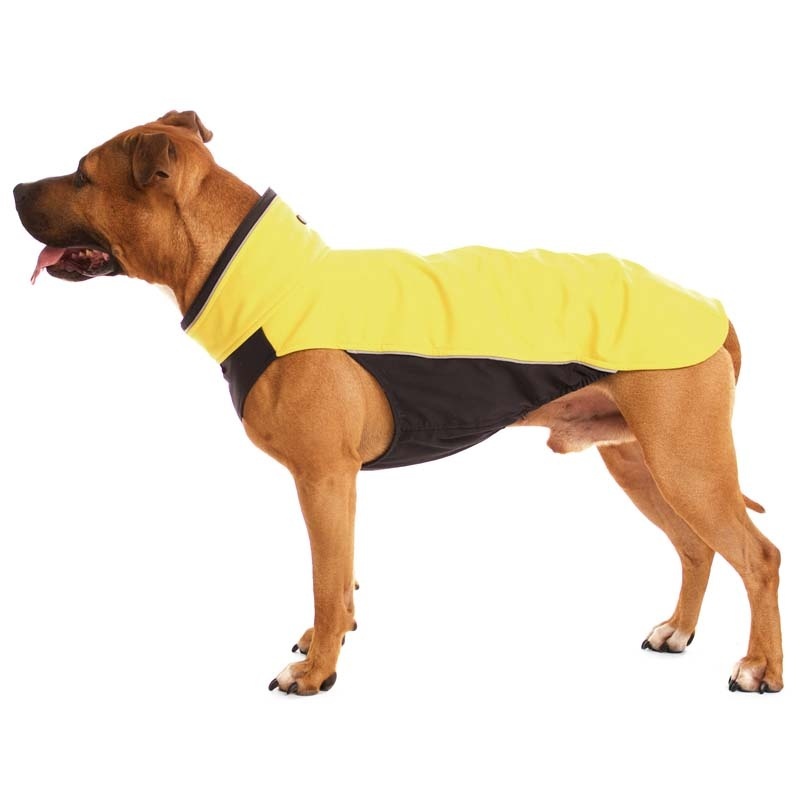 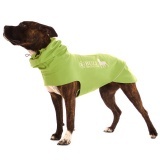 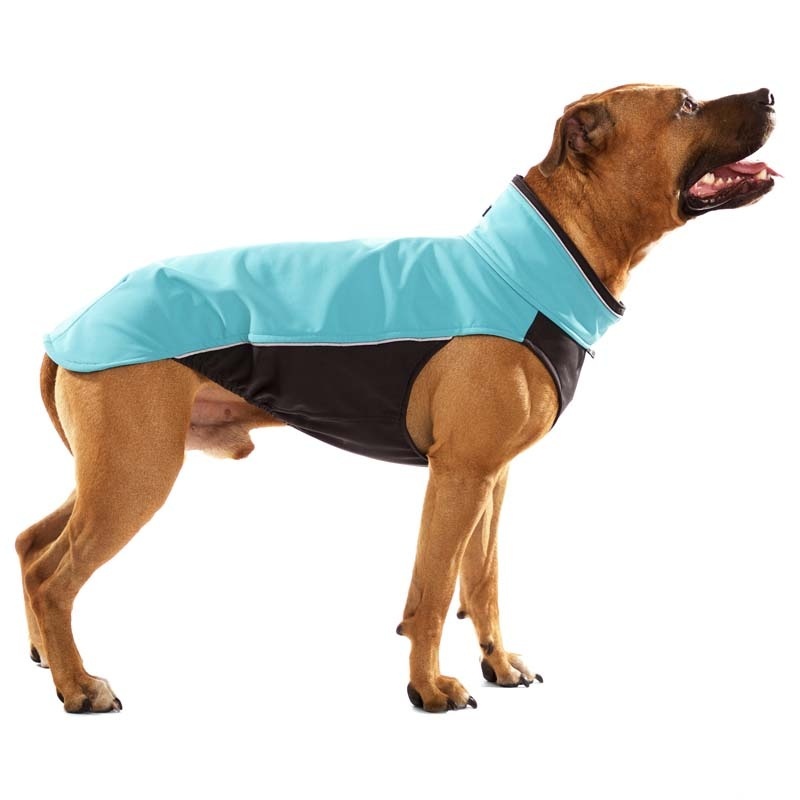 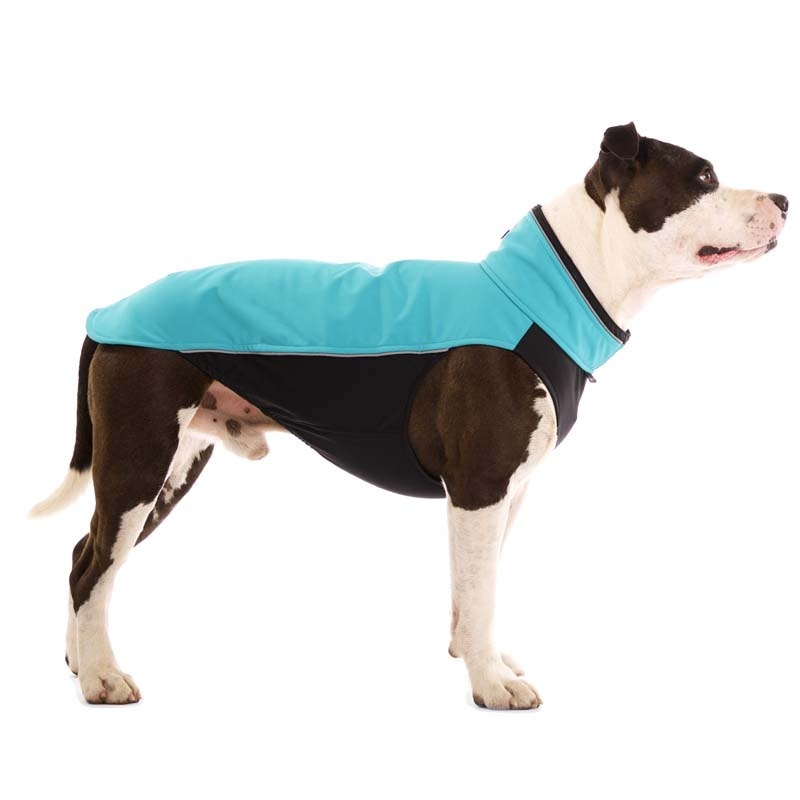 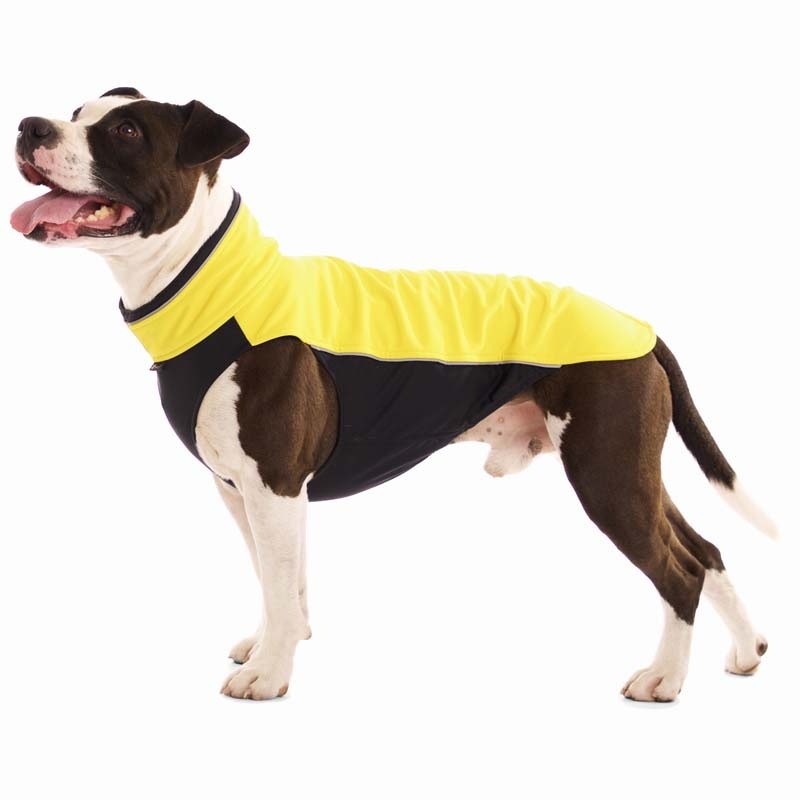 Sport lightweight softshell jacket designed for active dogs. 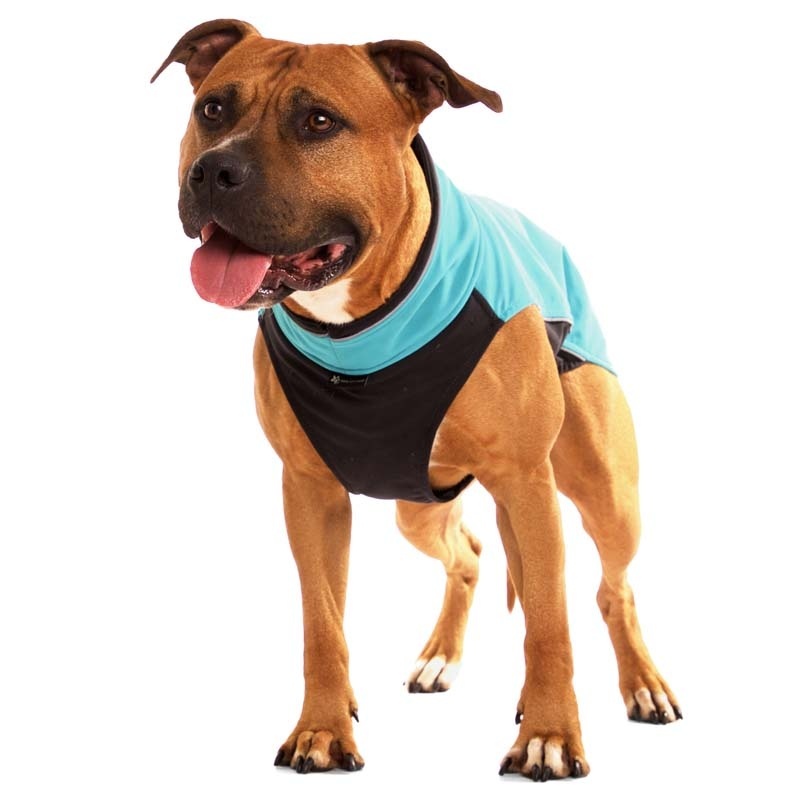 Simple and comfortable to put on without any fastening. 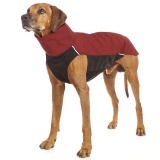 Back part and collar are made of thick softshell in bright colours. 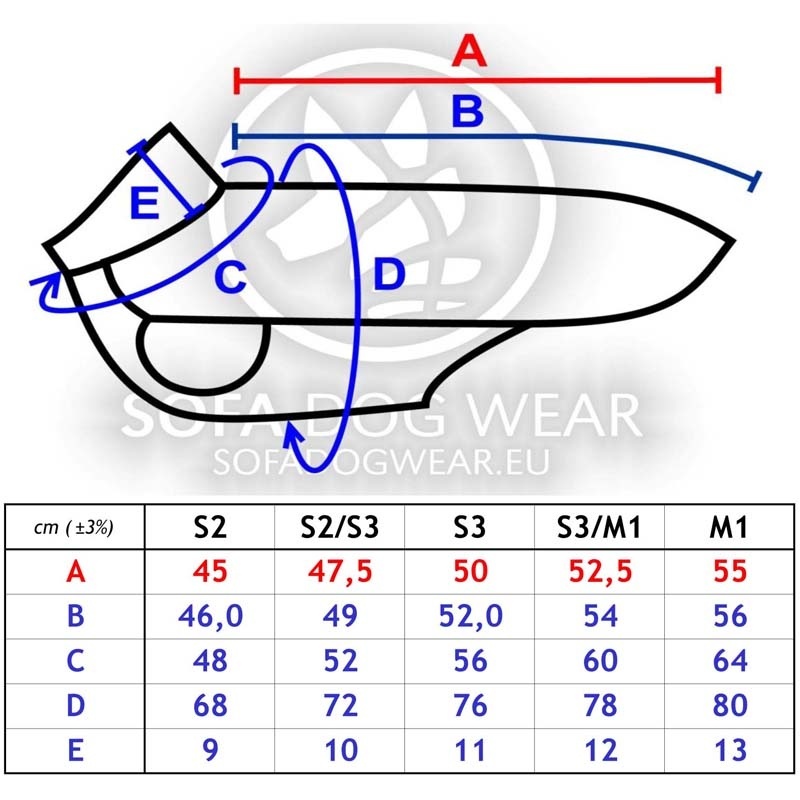 Belly part and side part are made of finer, more flexible softhell in black which makes the dressing up easy and comfortable. 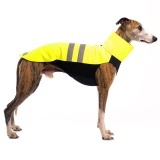 Suit is fitted with decent reflective elements. This shape of suit is suitable for all breeds of dogs with sport body, especially for AST, APBT, ABT, SBT and others.